Flesher Home & Away Realty goes above and beyond finding the perfect homes in Arizona. The former police officer and educator is on a mission to give back to the country’s heroes by making sure their families find the dream home they deserve. Phoenix, AZ, United States - July 26, 2018 /MarketersMedia/ — Phoenix, AZ (July 21, 2018) – Finding the dream home in the competitive Phoenix real estate market is usually not a walk in the park, but for military families, one dedicated realtor is more than happy to help make it a reality. Bill Flesher, of Flesher Home and Away Realty, prides himself with his extensive experience and proven expertise in real estate, but it is his work to support military families in search of a new home that fuels his passion for the business. Flesher, himself, is no stranger to serving his community. He is a former police officer and educator who taught in high school and college. As part of his advocacy, he offers closing cost assistance of up to $5,000 on a case to case basis. He also works with VA-friendly lenders when helping military families purchase a home. VA loans are home loans guaranteed by the federal government. They are given to past and current members of the U.S. military. 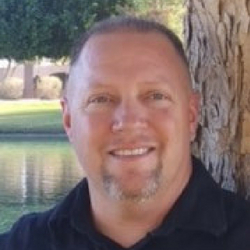 Aside from military families, Flesher also uses his business to support public safety professionals and educators who are looking to buy and sell their homes in Phoenix. According to this proud Arizona native, the Grand Canyon State is a welcoming home for families. For more information on how Bill Flesher can help military families, and any other home buyer or seller navigate the Phoenix real estate market, reach out to him. Interested parties can also schedule a visit at Flesher Home & Away Realty 2 N. Central Ave, Floor 18, Phoenix AZ, 85004 or call 623-826-2313. www.azrealtorprofessionals.com.